"William Eggleston's images of the South shocked the art world when first exhibited at the Museum of Modern Art in 1976. . . . Eggleston is recognized as a pioneer of the `domestic life from within' genre. . . . This collection, which draws on all of his work, offers startling glimpses not only of the South, but of the world outside America." --the publisher. Included are classic Eggleston images of interiors and roadscapes, along with subjects such as a South African orange farm, Egyptian pyramids, and an English garden. Eudora Welty has written of Eggleston's work, ". 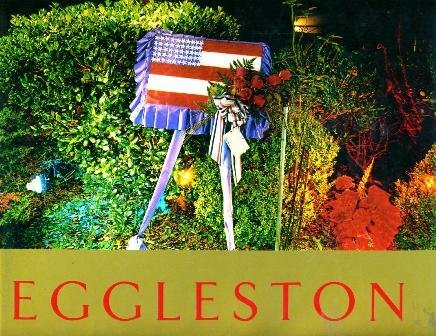 . . the Eggleston vision of his world is clear, and clarifying to our own."